Faster, more accurate coin counting. This efficient coin sorter and counter saves a lot of time and effort for any business dealing with coins or change. 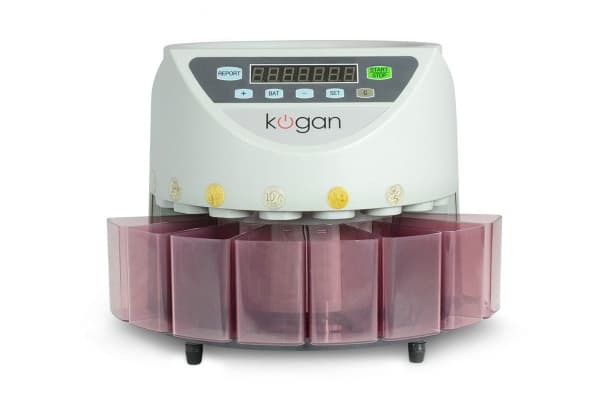 Trust in the Kogan Coin Sorter & Counter to take over the tedious yet important job of counting and sorting coins of different denominations with accuracy and efficiency. 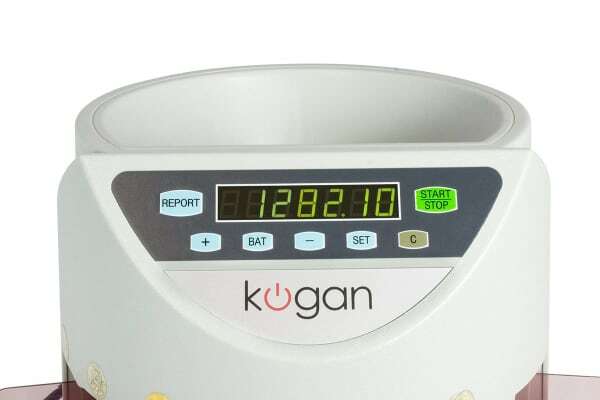 Eliminate the chances of human error and the mess that such mistakes create by handing over the job to this machine designed specifically for the job. 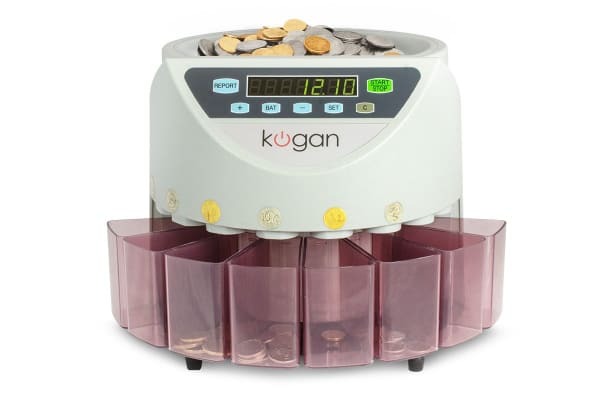 Working at an incredible speed, this coin counter and sorter saves you time and worry about any errors that can mess up accounts. As this machine eliminates any chance of human errors, you can focus on other important jobs and thus boost your productivity too! Counts, sorts and displays total amounts! This machine is super convenient as it not only counts your small change, it also sorts them into neat little drawers according to their denomination. What’s more, when it’s done with its job of counting it accurately displays the overall total amount and also the separate totals of each of the denominations.